Haunted Dungeons: Hyakki Castle is now out on both the PlayStation 4 and the Switch. The title is a real-time dungeon crawler which has you exploring a castle which suddenly appeared on Hyakki Island. You can take a look at the game’s press release below. TOKYO, JAPAN – (Aug. 30, 2018) – Japanese videogame publisher, Happinet, today released their new real-time dungeon crawling RPG game, Haunted Dungeons: Hyakki Castle, on PlayStation®4 computer entertainment system and Nintendo Switch™. The game is available digitally on both platforms via the PlayStation®Store and the Nintendo eShop for Nintendo Switch™ for an SRP of $13.99 and €11.99. The game aims to deliver a fast-paced, challenging, mysterious, and suspenseful single-player RPG experience utilizing smart tactics and quick thinking to defeat enemies in real-time. Set during the Edo Period of Japan, Haunted Dungeons: Hyakki Castle is based on the eerie and terrifying Hyakki Island, a place where prisoners are sent to live in exile. 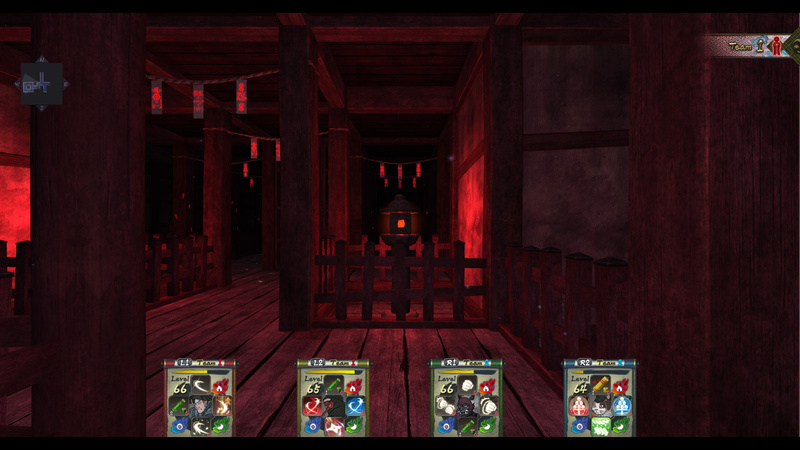 A mysterious castle suddenly appears on the island bringing a slew of creepy monsters, such as the “Yokai” of ancient Japanese literature, back to life, ready and waiting for any players brave enough to enter the castle. The island imprisons a cunning rebel mastermind who seeks to overthrow the Shogun order and assassinate its leader. Players play as four special agents of the Shogun order, specializing in Yokai and monster slaying, to investigate the island’s mysterious Hyakki Castle, and to eliminate the rebel mastermind manipulating the Island and its inhabitants. Japanese folklore and ghost stories abound with an unforgettable Ukiyoe art style as players explore the haunted halls solving puzzles and defeating bosses along the way, ultimately to battle and defeat the gloomy Lord of the castle.